You’ll look every inch the Vampire Queen in this fantastic costume! 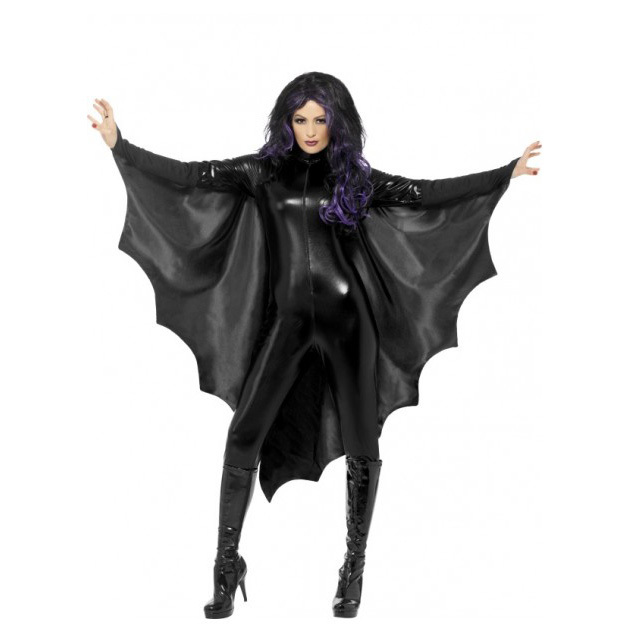 Complete with a black stretch jumpsuit/catsuit and the vampire bat wings you will surely be the one to notice! Suit has stretch in it so as to be form fitting as shown. Bat wings are detachable so the costume can be used as a set or as seperate items for different themes.